I have previously written about this product in my Tips & Tricks For Combination/Oily Skin Types... blog post... 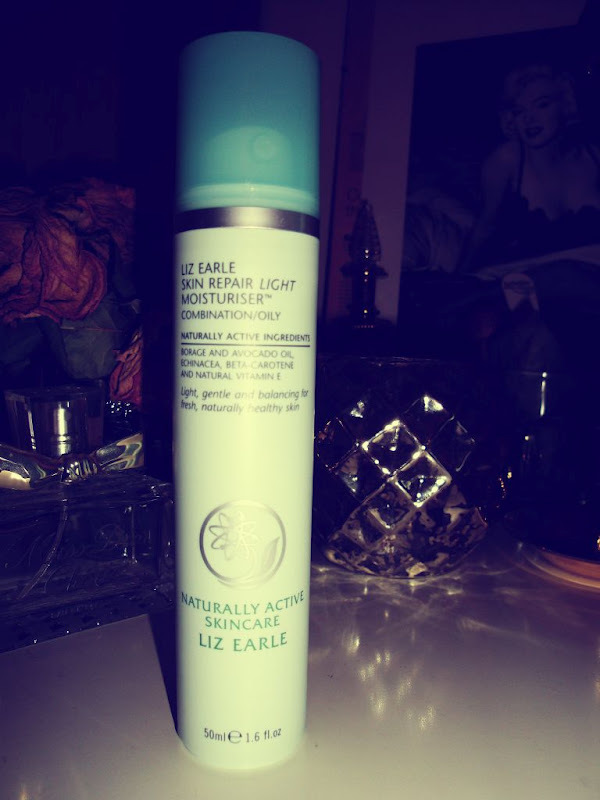 It's a very gentle light-weight moisturiser, suitable for oily and sensitive skin... And of course it smells lovely and natural as all of the Liz Earle skincare products do, or at least all that I have tried... Some of the ingredients include: 'borage oil (a rich source of the essential fatty acid GLA), echinacea, hops, avocado oil, panthenol (pro-vitamin B5) and natural antioxidants beta-carotene and vitamin E'... These help to moisturise and protect your skin, leaving it smooth and glowy without looking greasy or blocking pores... This moisturiser can be used day and night... Tip: never forget to take your moisturiser down the neck!